"Finding Hope in the Midst of Great Evil"
AFTER COLUMBINE is an honest and heartfelt, three-part television documentary about the mass school shooting April 20, 1999 at Columbine High School in Columbine, Colorado, with survivors discussing faith, the immediate and lasting impact of the event, healing and forgiveness, and the lessons they learned along the way. Each episode of AFTER COLUMBINE concludes with a Christ-centered, faith filled discussion on topics explored in the segment. AFTER COLUMBINE includes details of the mass shooting and can be scary and cause great anxiety in children, so caution is advised. AFTER COLUMBINE is an honest and heartfelt look at one of the greatest attacks on hope in US history. Grab some tissues as you watch true stories that will walk you through real-life events with real-life survivors of the first mass shooting in a school in America on April 20, 1999 at Columbine High School in Columbine, Colorado. The three-part series concludes with a path to Christian hope and healing, but the content, which includes details of the mass shooting, can be frightening and cause great anxiety in schoolchildren. Therefore, caution is advised. The series opens by retelling what happened on a seemingly uneventful Tuesday at Columbine High School. Survivors spare no details as they recall events that led to mass murder, threatened their own lives and in some cases took the lives of their family members and friends. There is no attempt to sugarcoat or uplift during the recap. The viewer is faced with the unexplainable senselessness of the rage and violence, as it still lingers in the minds of the survivors and the world at large. The docuseries does a good job dealing with the immeasurable loss and tragedy, which gives due respect to the natural process of psychology in the process of healing and restoration when faced with trauma. AFTER COLUMBINE deals with the need for forgiveness. It doesn’t artificially or prematurely jump to this conclusion. In time, the survivors realize the value of forgiveness, and even more importantly the devastating consequences of the lack of forgiveness. While exploring the realistic horrors and the aftermath of Columbine, the docuseries moves in a healthy and appropriate pace toward forgiveness, healing, restoration, and even finding the blessings in the darkest situations. Happily, the viewer is not left with a sense of hopelessness and death. AFTER COLUMBINE does not get stuck in the “why,” but rather focuses on solutions that will prevent future tragedies. The well-structured docuseries takes viewers through the process of the acceptance of the horrors encased in reality. The focus, however, is on the need for forgiveness and the continued healing and restoration. Miraculously, the aftermath includes blessings which continue to come from the monumentally evil act. As one survivor says, “No storm lasts forever.” The four survivors have become blessings themselves as they counsel and help people overcome difficult situations in their respective fields. Best of all, each episode concludes with a Christ-centered, faith-filled discussion on topics explored in the segment. The discussions are insightful but a bit drawn out sometimes. The subject is also heavy, and the details will be scary for younger teenagers and children. So, caution is advised. The first episode can be viewed here for free. AFTER COLUMBINE is an honest and heartfelt, three-part television documentary about the mass school shooting April 20, 1999 at Columbine High School in Columbine, Colorado. Survivors discuss the event, faith, the immediate and lasting impact of the event, healing and forgiveness, and the lessons they learned along the way. 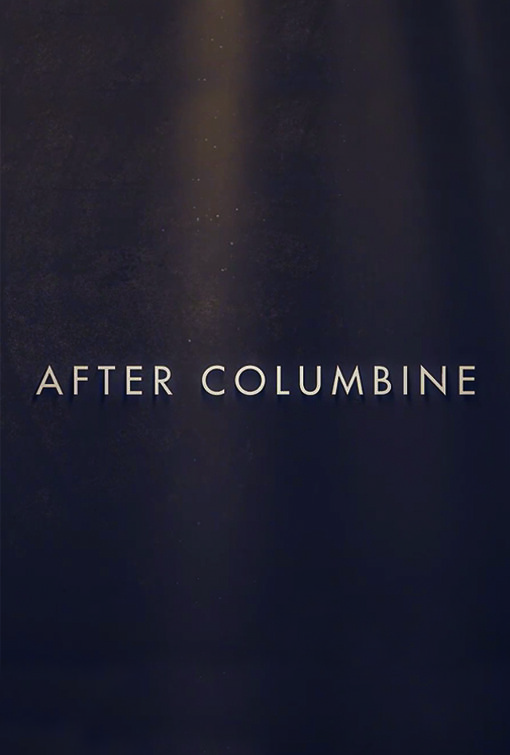 Each episode of AFTER COLUMBINE concludes with a Christ-centered, faith filled discussion on topics explored in the segment. AFTER COLUMBINE doesn’t get stuck in the “why,” but focuses on solutions that will prevent future tragedies. The well-structured docuseries takes viewers through the process of coping with the horrors of the event. However, the focus is on the need for forgiveness and continued healing and restoration. Miraculously, blessings continue to come to do survivors despite the monumentally evil act. As one survivor says, “No storm lasts forever.” The survivors have become blessings themselves as they counsel and help people overcome difficult situations. AFTER COLUMBINE has a strong, inspiring Christian worldview, but it includes details of the mass shooting and can be scary and cause great anxiety in children. So, caution is advised.